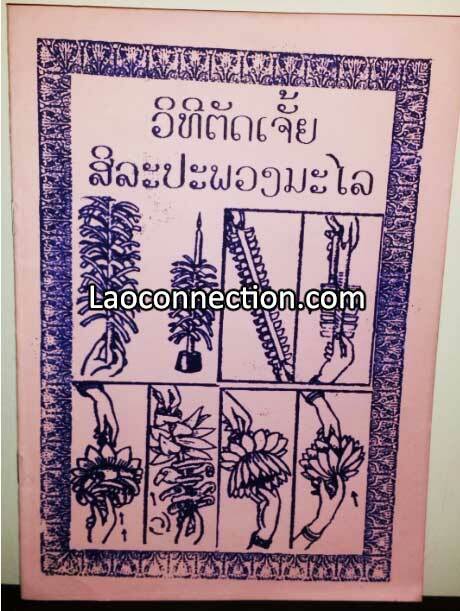 I found this book a few years ago when I was in Laos. 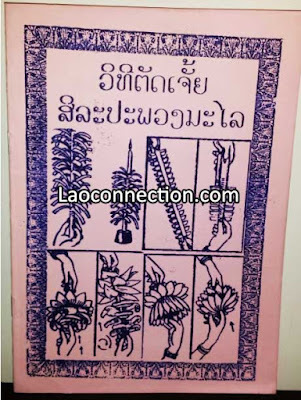 It's a simple little booklet sized manual with instructions on cutting flowers and garlands used in Lao decorations. 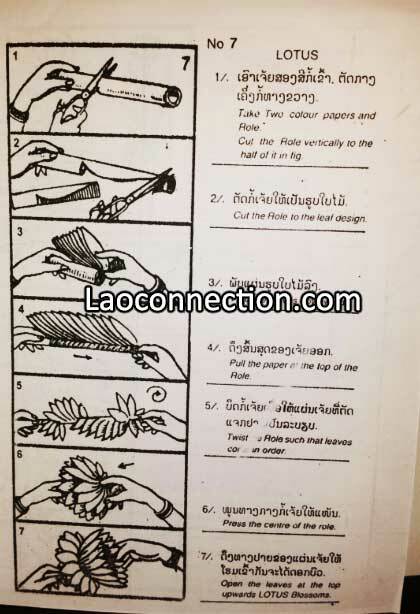 The instructions are written in Lao and English, step by step with images, for 8 crafting items. I wish there was more including. These types of paper crafts are used typically for celebrations or religious settings. I certainly thought it was a nifty little find while book hunting!